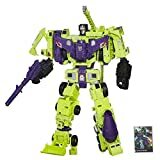 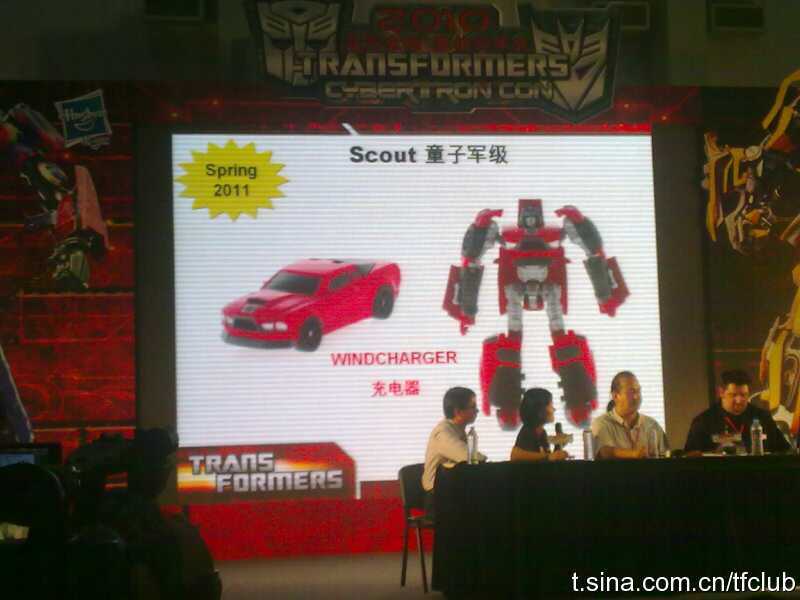 The next wave of Transformers Generations has been talked about but little seen. 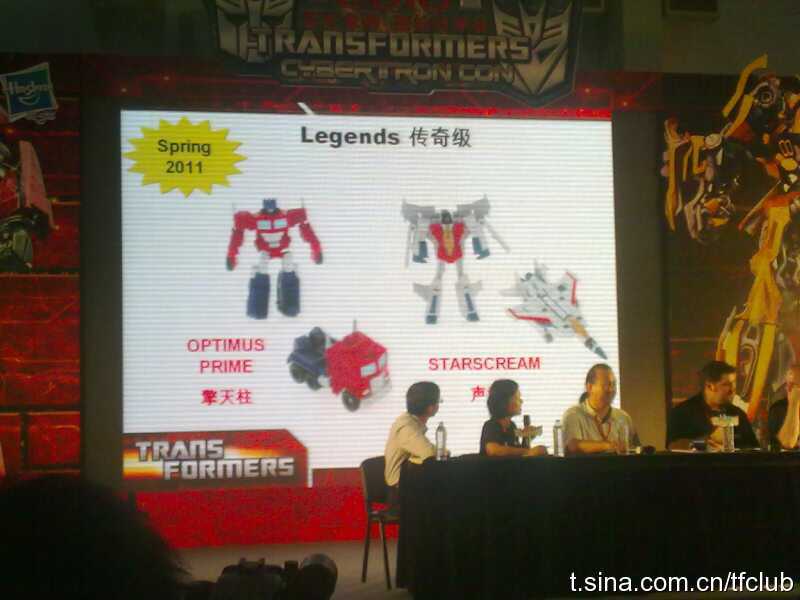 No photography was allowed during the Botcon panel that mentioned many of these figures, and Hasbro’s SDCC 2010 panel left a lot of new stuff out. 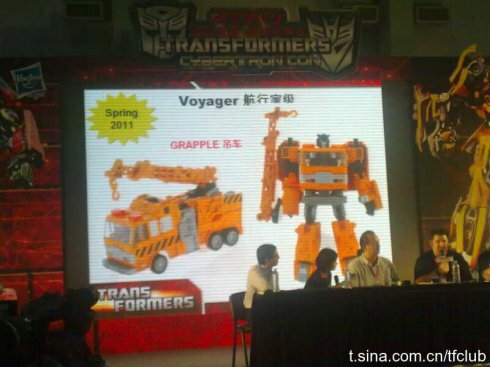 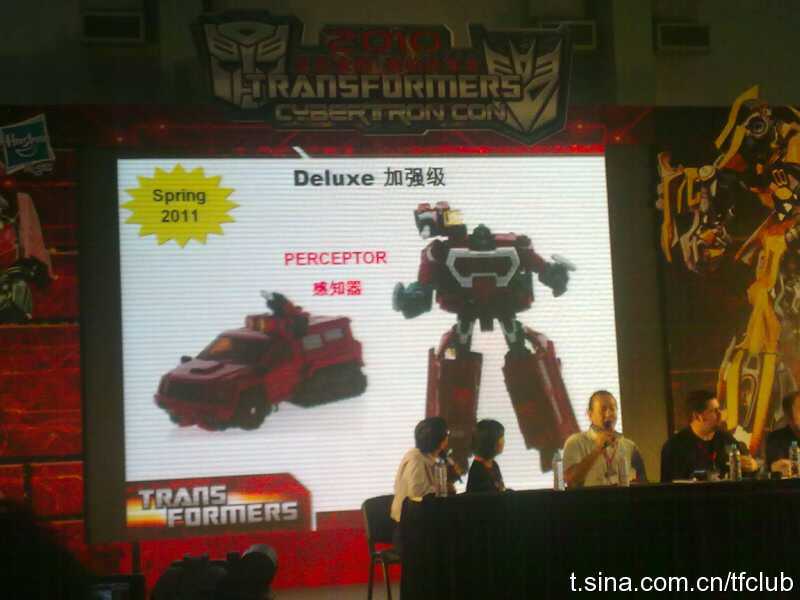 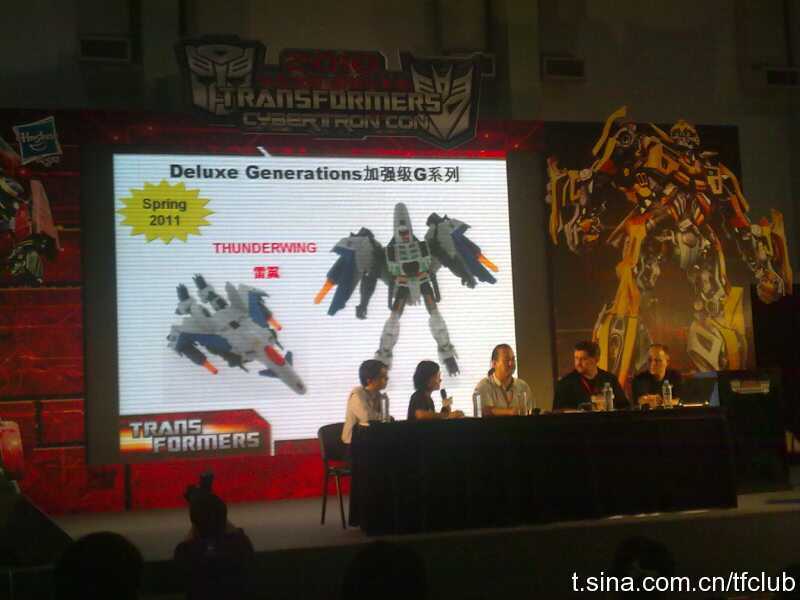 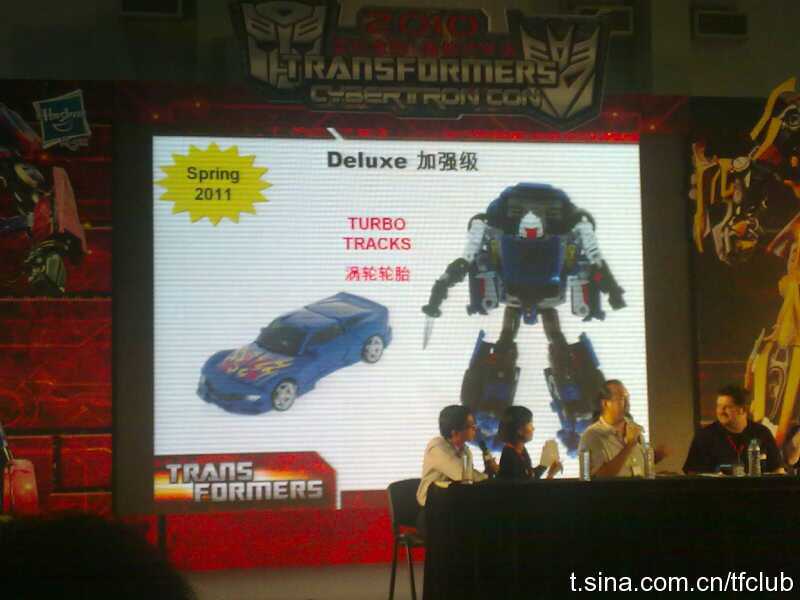 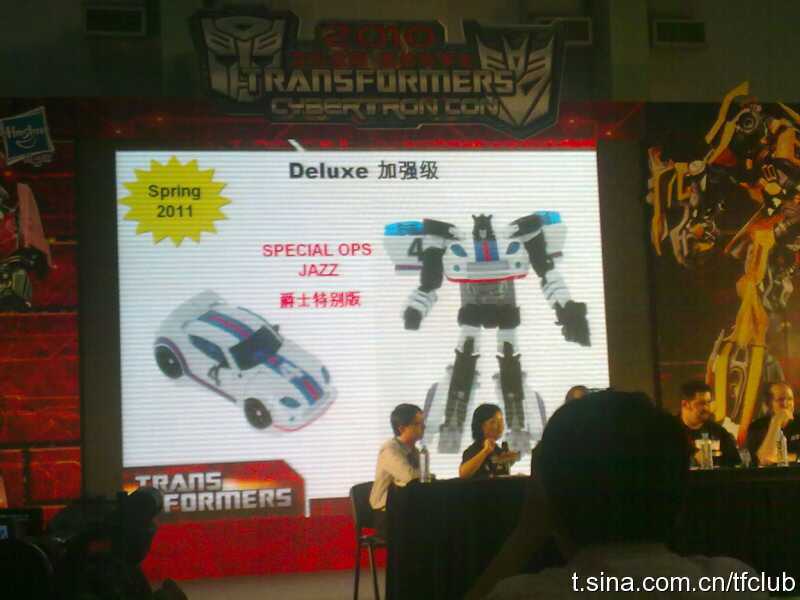 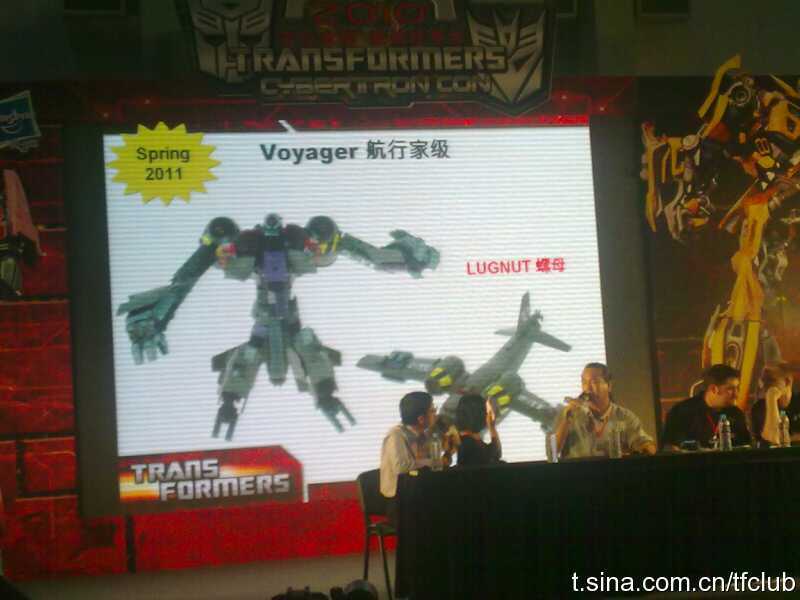 Now thanks to a presentation at CybertronCon in China, we have our first look at many new figures. 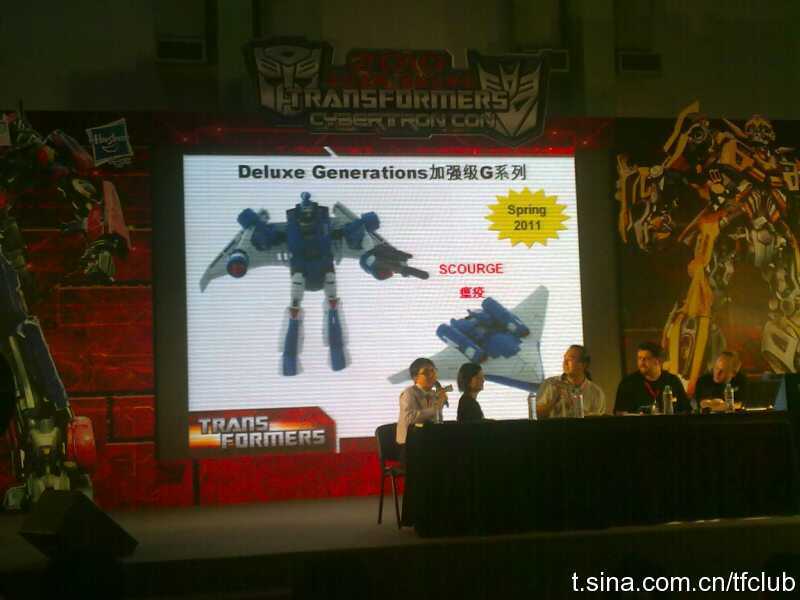 Included in this gallery are Deluxe figures Jazz, Pereceptor, Scourge, Thunderwing, and Tracks. 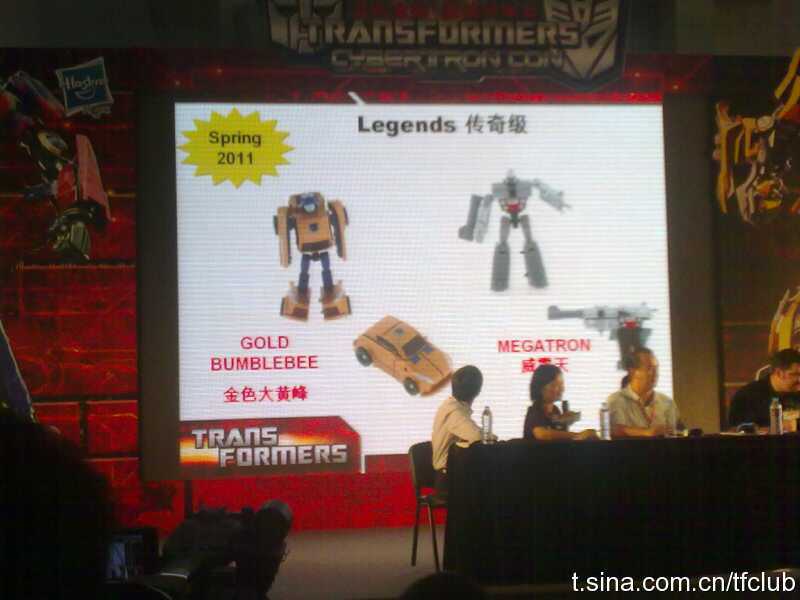 Legends class Optimus, Megatron, Starscream, and Goldbug (Gold Bumblebee) are present, as well as Scout Windcharger, Voyager Lugnut and Grapple. 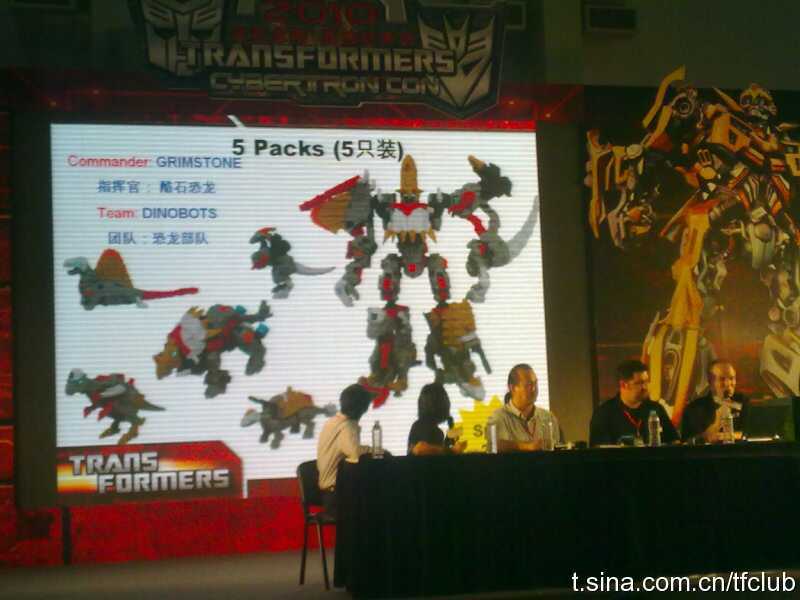 Also included are new PowerCore Combiners representing Constructicons and Dinobots.